It’s been a busy weekend for Jane Ann. 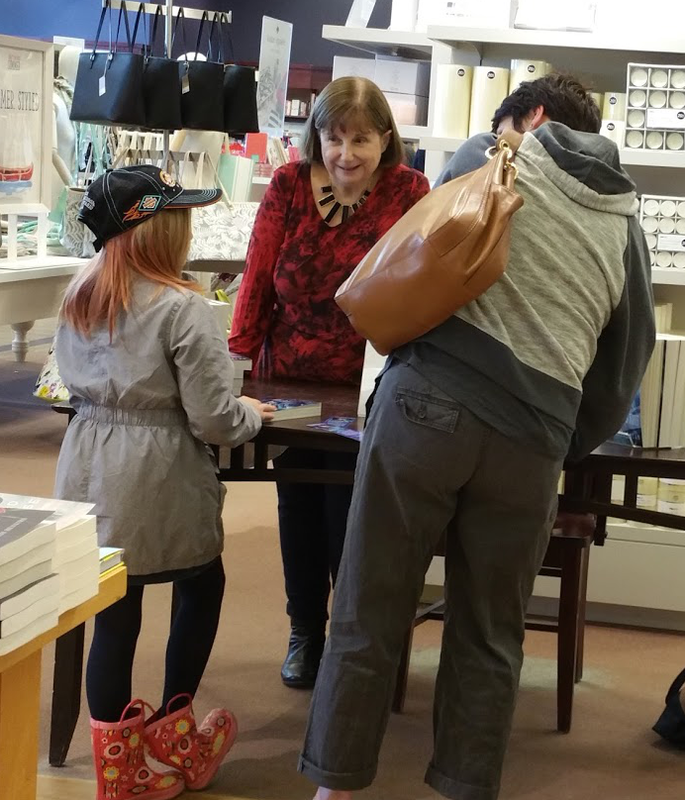 After a reading and book signing in southern Ontario Friday night, Jane Ann drove up to Sudbury for a book signing at Chapters. I went out to visit her, say hi, and meet her daughter, Amanda. Of course, I have to buy some books as well <chagrin face>. Today, she delivered a workshop on crafting the contemporary genre novel. She started off with some resources. Writing for Emotional Impact by Karl Iglasias. It should be stated in the following form: What if (protagonist) in (setting/situation) had (problem)? The discussion progressed to world building and the inevitable research that must take place to make the story world believable, even if the setting is contemporary. The caveat is that, having done all this research, the writer must then resist the temptation to display all this knowledge in the text of the novel. It’s called info-dumping. Every story has to have compelling characters who have strong, clear wants and desires. We did another writing exercise, in which we defined our protagonists. Jane Ann advised that this process should be repeated with each of the main characters in the novel, including the antagonist. We then looked at point of view (POV) and tense, and the considerations writers need to take into account when deciding whether their stories should be told in first person, present tense, as many young adult novels are written, or in deep third person, past, as many adult novels are written. There was another exercise in identifying lapses in POV that was quite interesting. Finally, Jane Ann shared with us her outline for novel writing, as well as a couple of other templates that could be used. She confessed to being on the pantsing side of writing, but that she’s never started writing a novel unless she had a clear idea of what the main plot points were. Then, there was a drawing for two bottles of The Occasional Diamond Thief wine, books were bought, and a brief Q&A ensued where other issues were discussed as time allowed. Overall, it was a great afternoon, but I think Jane Ann will be happy to get home and put her feet up 🙂 She’s one busy writer, promoting the heck out of her novel.